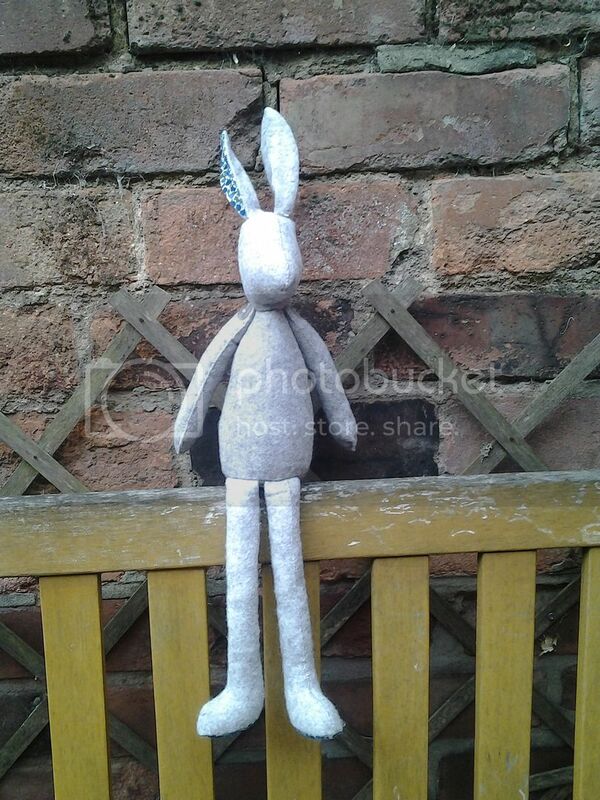 Last year at the Harrogate Knitting and Stitching Show I bought a kit to make a Luna Lapin. You may have seen these around blogland and on Instagram. One Saturday I had some sewing machine time so I decided to get started on her. After sewing the head, all the steps were for hand stitching, so she came down stairs to be my sofa project. I didn't get much done on the sofa, just a couple of legs and the head so she came on holiday with me 2 weeks ago. I spent some lovely early evenings with my family, stitching on Luna over a cafetiere of coffee (decaff of course) or 20. I was quite surprised to have got this far. Looks like she's quite surprised at something too! I still have to stitch her eyes and nose and add a tail, then it's on to the clothes. She came with the pattern for a t-shirt dress and the Liberty fabric to make it, however here ear/feet Liberty fabric was brown, so I used the blue for that! I do have this pattern that wonderful mum bought me to make a dress and felt coat, so I'll make her those clothes instead. I really hope they're sewn on the machine though, I've got too much cross stitch and embroidery to do for it to be another sofa job! She does look a little startled. The sooner she gets her eyes the less easily she will be surprised...! What an adorable little bunny creature. Oh sorry, Luna saw me first thing in the morning when I stumbled out of bed - I'm afraid she might be scarred for life! Pity if she is, for she's a lovely lass! 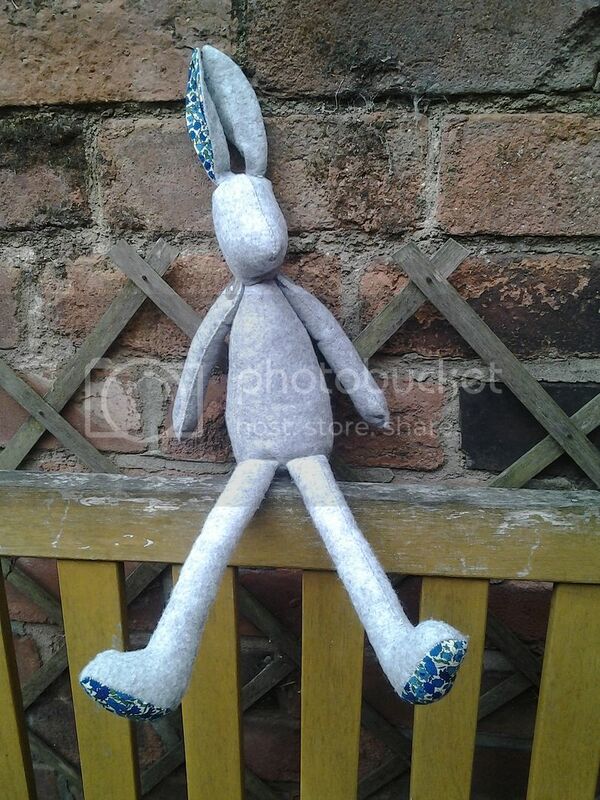 Hello Wendy, Love the look of your Luna Lapin and the pretty blue fabric you have used on the ears. Waiting to see the face.